During the last quarter Visitech have signed several significant contracts for the LRS product. 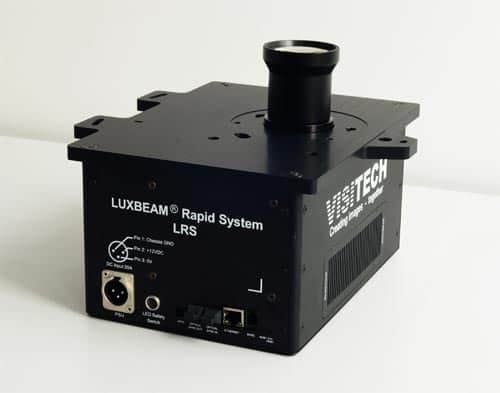 The LRS’ supreme resolution, optical quality and high UV power seems to have hit a sweet spot for the Rapid manufacturing machine makers. The product is highly configurable with respect to build area and build resolution through a vast selection of high quality projection lenses. Further a selection of light source wavelengths in the UV and visible spectrum is available. This enables a plug and play, ready to install status for several applications and machine configurations. The mainboards, LUXBEAM 4600, 9000 and 9500, with the built-in web server over Ethernet or HDMI interface, enables our customers to get up and running within minutes. For product integration, a well proven and documented SW interface specification follows the product. «The combination of the high resolution, high power, supreme optical efficiency and image quality has been key parameters for our product development. I’m happy to see our LRS product so well received in the market», says General Manager Visitech Engineering GmbH, Mr. Alfred Jacobsen.